‘Content’ is a telco industry term describing when they give you access to TV shows, Movies and music on your phone. Content is the new way the phone companies are trying to win and keep your business. Telstra especially are undertaking a huge marketing push to back their investments in content. Telstra have been offering content for viewers who have Telstra phone plans for quite a while now. Telstra aren’t shy about their ambitions. They have a stated aim of being first for sport – a goal that’s been somewhat undermind by Optus’ news of a 3 year exclusive rights deal with the EPL – English Premier League. Telstra and Optus are focused on early adopters now – they’re the only people who would consider watching streamed video on their phones. However, with time, could everyone soon be doing it ? But 2016 has defined in many ways for the company by network outages and senior management changes which resulted. Is the network load created by hundreds of thousands of people using streamed video a further risk to the already shaky perception of Telstra’s network? There is no downtime any more and there’s certainly no such thing as primetime TV. Papers been affected by the digital revolution, TV has been crushed by Netflix. Now it’s time for telco to get in on the act. Telstra say Video streaming grew at 30% per year. With the number of streaming offers in market this year, from Telstra and others 30% growth will be eclipsed pretty soon. Overall data consumption on a handset has been growing at 100% year on year for a long time. Video streaming is just a part of it. Telstra are using this to their advantage and spending big on content. “Australians have embraced streaming video services like Netflix in their lounge rooms and we are now seeing that appetite translate to phones and tablets outside the home. As an example, network traffic surges during the morning and afternoon commute suggesting two new prime-time periods are emerging, as people discover how easy it to continue watching their favourite shows on the go.” Michele Garra, Executive Director Media at Telstra as reported in EFTM. Streaming is a way of watching TV, movies, sport and listening to music on your phone. The program you want to watch or listen to is broken down in to lots of little data chunks and sent in a continual drip feed to your phone. On your phone, the content is reconstituted from the little blocks in to a video or audio file so you can watch it. The technical gubbins is something you don’t have to worry about. Just remember that if you lose your network connection, you’ll lose your ability to watch or listen to the program you want. You may also hear Streamed Video described as SVOD. How much data do these services use? Again, avoiding all the technical jargon, ‘unmetered’ means the phone company does not charge you for the content being streamed to your device. If they say ‘unmetered Netflix’, and you use 10GB that month streaming Netflix to your phone, that won’t count against your plan. One thing to be aware of: Even if the content is free, the data involved in sending adverts (placed in to the streamed content) to you may not be. This is a small overhead but it is dealt with slightly differently. Prepaid agreements often represent less commitment to the phone company. Both Optus and Telstra provide their prepaid customers with access to streamed Audio services. With Telstra, you’ll get free Apple iTunes music for 6 months. Postpaid customers tend to get better / more free content. See blow for Telstra’s offering. It involves free streamed sports and free streamed movies / TV from providers like Netflix. Telstra customers like the rest of us live in an increasingly on demand, time shifted, streamed world of convenient access to the TV shows and movies we love. At a basic level, what Telstra and Optus are doing is trying to get us used to the idea of using our phones to get hold of this sort of entertainment. This article outlines data usage by streamed service type, industry trends which have led to where we are now and an overview of the types of content provided by each telco. This article compares Optus’ content and Telstra’s content head to head. SVOD is the technology behind these new customer offerings. We explain what it is, why it’s important and how it can help you. 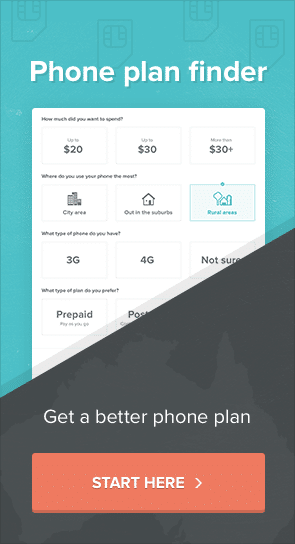 The content you’ll get gratis depends on whether your Optus service is prepaid or postpaid. We explain prepaid vs postpaid vs month to month in this article. Maybe, but maybe not. Just because the phone companies are offering you this content doesn’t mean you want it. It is entirely up to you whether streamed video and audio is something you want to add in to your life. Remember, even when they imply it’s ‘free’, it’s not. At least, the charge is included in your plan. Do you want this streamed TV and movies on your phone? It’s OK to try the service and see if it works for you. It’s also OK to not want it. Personally, I tried Netflix and they had a couple of good shows on there and then not a lot else worth watching in my view. Overseas, in the USA, there is a broader variety of content available in Netflix and it could be that, in time, the same comes to Australia. For now, that’s not the case. Are you a sports addict? Sport can be a bit different to the Netflix situation. The fact that the sport is Australian and restricted to these shores actually improves how much people would want it. Telstra’s range of sport is actually pretty good. They already have the most popular two codes on their books and have recently added two more sports with very broad appeal. See below for details. All of these unmetered content deals from Telstra are provided to new and re-contracting Telstra plan users. We explain the plans you need to be on to benefit from them in the infographic below. If you take out or re contract to even a Telstra prepaid SIM, you’ll get 6 months free Apple Music. This is a consumer focused offer. It is not available on business plans. Just to be clear, if you’re on a postpaid plan, you will get 6 months free Apple music too. When Optus bought the rights to the English Premier League (EPL). Telstra saw the threat. Since, Bit T have invested in two new sports ‘properties’, the National Basketball league and Australian Netball. This content will likely be rolled in to the app which is used to provide the NRL and AFL to users. It is not clear whether it is being charged for. There are three main video content streaming services in Australia – Presto, Netflix and Stan. Optus provide access to owners of existing accounts for Netflix and Presto for $10 per month unmetered. Telstra’s deal is better, at least during the trial. Telstra offers access not to one of these services, they offer access to all 3. They include the price of the subscription for the period of the trial. And we anticipate that they will match Optus’ $10 per month offer towards the end of the trial period. As if all of those video content libraries were not enough, Telstra are also using their own Bigpond Movies service to entice you in. You’ll get 3 of the latest releases to watch ‘unmetered’ on your phone. Unlike Telstra, Optus really have their content approach covered. Optus have a considered and thought through approach considered primarily from a customer point of view. While Optus doesn’t give you a free trial of the services involved, (Telstra, as we’ve seen provides 3 months access to Stan, Presto and Netflix) Optus does offer ongoing support. Optus customers can stream unmetered Presto and Netflix to their phones over the Optus 4G network for $10 a month. At this stage, it is unclear what Telstra customers will be able to do when their trial runs out. The usual ‘Fair play’ (fair go) policy applies. The key difference between Telstra’s TV / Movie offer and Optus’ is that Telstra are giving you free access to the services which provide the content. You’d usually get a 30 day trial with each of these companies if you wanted to test their service. If you sign up through your Telstra phone / account, you’ll be given three months to dip your toe in the water. And remember, that’s not three months access to one of the services, it’s three months access to all of them, in parallel. Optus do not offer you a free subscription to these services. You need to have an account with Presto or Netflix already to watch them on your Optus device. What are your alternatives ? As we’ve said, the key question is really, “Do you really need the content ?” Telstra have invested in a heavy marketing push to convince you that the answer to that is yes. You know the deal. They are trying to get you to try this content stuff and get hooked. That’s the nature and purpose of the 3 months free deal. You don’t have to play their game. Here are your alternatives. We have included price plans which use the Telstra 4G network and the full Vodafone 3G / Optus 4G networks too. Other phone companies resell part of the Telstra Mobile Network. Only Boost and Telstra plans allow you access the whole thing. Data free streaming of Apple Music (requires subscription) on top of the data included in your plan. Boost offer a selection of plans including 7 and 28 day variants. Boost have a total of 5 recharge options for their prepaid plans, ranging between $10 and $50. Boost $20 Prepaid = Unlimited calls & SMS in Oz + 3GB data. Boost $30 Prepaid = Unlimited calls & SMS in Oz +35GB (includes 23GB bonus data on first 5 recharges) data. Boost $40 Prepaid = Unlimited calls & SMS in Oz + 45GB (includes 23GB bonus data on first 5 recharges) data. Boost $50 Prepaid = Unlimited calls & SMS in Oz + 55GB (includes 23GB bonus data on first 5 recharges) data. Boost $70 Prepaid = Unlimited calls & SMS in Oz + 75GB (includes 23GB bonus data on first 5 recharges) data. All talk time and SMS for use in Australia to Australian numbers. All data is for use in Australia. You can learn more about this company in our Boost Mobile review. OVO offer a growing list of free video and audio content. Motorsport fans might like the 400 Thunder Professional Drag Racing Series, Australian GT, Formula Drift and other petrol head live streaming. OVO Play also includes other sports like sailing and gymnastics. The price of the content is included in the monthly line rental charge you pay OVO for your prepaid plan. So, importantly: You won’t see your data balance decline while you’re watching them, the streamed content is free. OVO’s plans also offer FREE radio streaming, also included in your plan offers access to the Tripple M network and other selected stations. OVO’s plans come with the offer of free access to Parental Lock software. Buy your child the $9.95 plan from OVO and you’ll be able to monitor what they access on their phone and set times for it to turn off and turn on it’s own connection to the internet. Picking an OVO plan is simple. All of OVO’s plans include Unlimited talk and SMS in Australia to Australian numbers plus superfast 4G data. $9.95 Unlimited = 500 minutes of standard calls and unlimited SMS in Oz + 2GB. $14.95 Unlimited = Unlimited calls and SMS in Oz + 4GB. 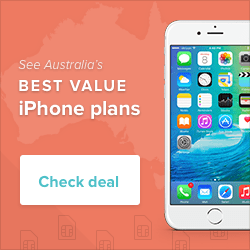 $19.95 Unlimited =Unlimited calls and SMS in Oz + 8GB. 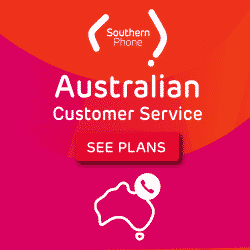 $29.95 Unlimited = Unlimited calls and SMS in Oz + 20GB. $34.95 Unlimited = Unlimited calls and SMS in Oz + 50GB. $49.95 Unlimited = Unlimited calls and SMS in Oz + 80GB. You can learn more about them and their unique content in our OVO review. Beautiful screens are standard on phones now. Even the low end of the market for hardware, let’s say sub $200 will give you an adequate color screen. Being lost in your phone’s contents is an aspect of Australian culture we now take for granted. Streamed video is just another reason for us to love our device. OVO Mobile were the first phone company in Australia to figure all of this out. Content, (as they pointed out to us when they launched a few months ago) is becoming the first decision people make when they consider a phone company, not the last. We take coverage, speed, reliability for granted from phone companies. Most people can’t tell the difference between one phone company and another. In some ways, it’s ONLY the content which differentiates between them. Telstra’s content is better for prepaid customers. Telstra prepaid customers can access the AFL or NRL season pass and get 6 months instead of 3 months free music streaming. One of the unsettling things about the content that Optus and Telstra are putting in place is that this is a segment approach. They are targeting specific groups of customers with the content they’re offering. The NRL will appeal to some. The AFL to others. Basketball and netball have all been added. The problem is that it’s hard to be a tier 1 like Telstra and effectively cover EVERY niche market. Optus’ content offering, while confused, is currently the best in market. They charge $10 per month for access to streamed Netflix and presto. The music / audio offering they have is all but the same. The worst aspect of all of this is that the addition of content, with the extremely hard to understand pricing approach from both Optus and Telstra has made the choice of a phone plan which has always been a hard decision, harder. The question for us is how many people will not bother and just got with a smaller phone company which gives them what they want – minutes, SMS and data – and doesn’t confuse the issue more than is necessary.